This is the ultimate guide on how to achieve maximum safety of WordPress installation. After you make this changes, your WordPress blog will become bullet proof I guarantee you that! 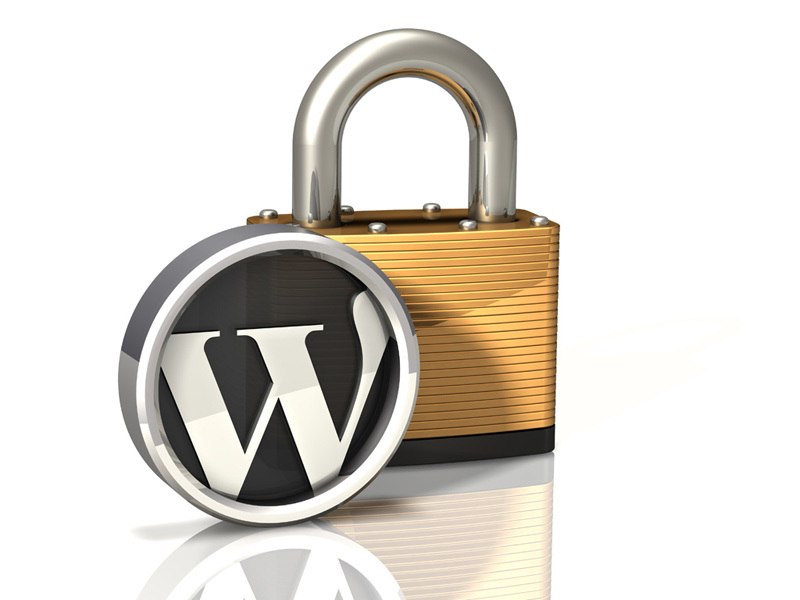 During the years of my work with with WordPress I came up with the list of six simple rules that you should implement on your WordPress installation to make it secure and safe. WordPress database table prefix is the default weakness for all WordPress blogs, because nobody ever bothers to change it. Hackers know this very well and they use it to massively deface WordPress sites. Don’t be lazy and change this. Only problem with this is that you must change it before you have installed your WordPress. Save the wp-config.php and upload it to the host by overwriting the old file. And that was it, you are now ready to continue with the installation. If you already have installed your blog with the default WordPress database table prefix, don’t worry. There is a solution for that as well. Before changing your table prefix, make a backup of your database and be aware that your site is going to be down for a few minutes. Then open your wp-config.php and change your database table prefix as I described for the new installation. Go to your database using phpMyAdmin, select your WordPress database, click on the SQL tab and paste the SQL commands bellow to rename all WordPress table prefixes from wp_ to whatever you specified in your wp-config.php file. If there are any other tables beside defaults, from plugins or whatever, rename them also using the same method. If you find any options created by plugins, custom scripts, etc. that begin with wp_ rename them to the new prefix. You will be able to change it by clicking on the edit button for each record. Rename any entry that begins with the default WordPress table prefix wp_ to the new prefix. What does this mean? When you are updating your WordPress, wp-config.php stays from your old installation. It doesn’t change because it contains essential information’s for your site, so it can communicate with the database. So why to change it? Because WordPress have drastically improved security in its newer versions and some of that security improvements are contained in the new wp-config.php wich comes with fresh installation. OK, so how can I upgrade my wp-config.php to the newest version? If we assume that your WordPress is up to date, go and get the latest version of WordPress. Unpack the archive and find the file wp-config-sample.php, rename it to wp-config.php and open it with some editor. Now download your current wp-config.php from the host, and open it with the editor. Replace variables above with the values from your old wp-config.php file. Go to the WordPress.org secret-key service, copy all you see there and replace the lines above with the new values. That is bad, because if hackers find out what is the version of your software, they can hack it more easily. If someone have their eyes on your wp-config.php file, your site is history, there is no need to give further explanation about this. And if someone get hold of your .htaccess, he could redirect your site to some phishing website. That is also catastrophic situation. Also its not a good idea let someone to view your directory content. So how can we protect these two vitally important files for our WordPress site and prevent directory browsing? All WP experts these days advice us to use plugins that are scanning our site for traces of malicious code. My approach is slightly different, I like to stop bad things before they even have a chance to happen. One of the most basic things about WordPress security is to keep things up to date. There is no perfect software without security holes in it, but WordPress community is doing a great job about fixing this holes constantly. So please, update your WordPress regularly. You can do automatic Update or manual update. Remember, your plugins and themes should be also updated regularly. By doing regular updates you can save your self hours or days of work if your site gets hacked. Read about file permissions in WordPress, and set up them wisely. Bad file permissions can easily lead to be hacked. Also if have default admin user on your blog, delete it and assign his posts to some other user name. Regulars backups of database, wp-content and uploads folder are also the things that you must never forget to do. If you follow these WordPress securing instructions, you reduce the probability to be hacked at some minimum level. I follow these rules so long and so far I have never failed. OK people, that’s all about Securing WordPress for now. If have any comments, suggestions or questions, feel free to post them below. I’ll be glad to answer you.